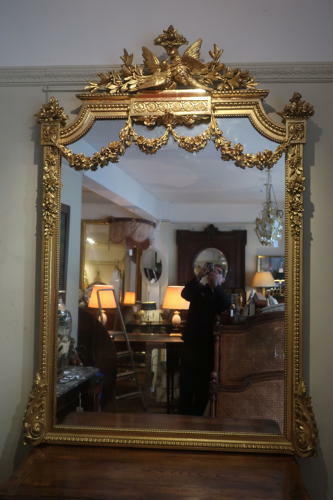 A very splendid large and decorative gilt mirror, complete with love birds, swags, foliage, and pretty much everything else! Great colour, almost inevitably there will be some small losses on a mirror with this detail but it is actually in excellent condition. Large size and original mirror plate. Getting very hard to source mirrors of this condition and quality.